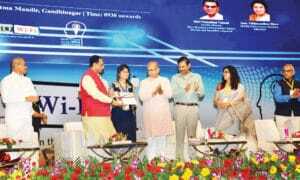 In Gujarat, a large number of thesis and innovative ideas emerge every year. 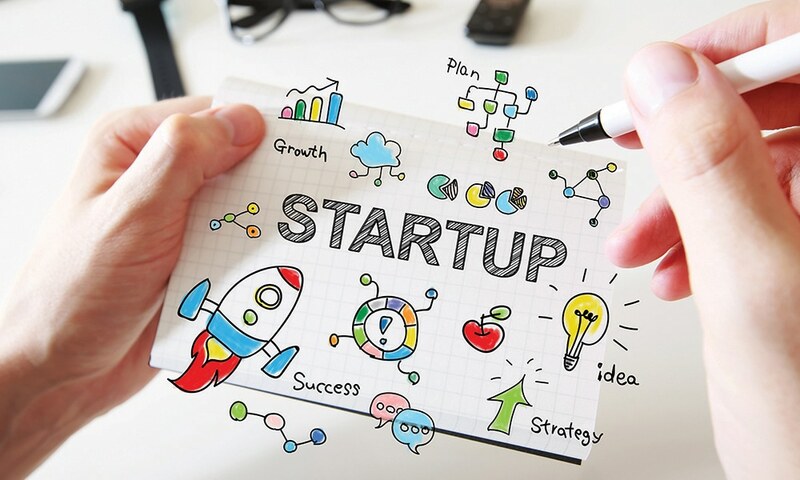 How Gujarat ‘Student Start-up and Innovation Policy’ (SSIP) transforms ideas into new product and services to becoming entrepreneurs, writes Dipen Pradhan and Hemangini Rajput of Elets News Network (ENN). In 2010, the Gujarat Technological University (GTU) started an experiment to incentivise students academically. Under the experiment, the students were asked to identify a problem at any place, village, industry or organisation during their summer vacation. Students who were able to figure out the problem were awarded four credit points — equivalent to a subject. An additional point was awarded to the students who came up with solutions. The experiment became popular among other universities in Gujarat as well. It led many students to highlight problems. It also helped some of the students to come up with fresh ideas for solving these problems. The experiment boosted the idea — students could become entrepreneurs. 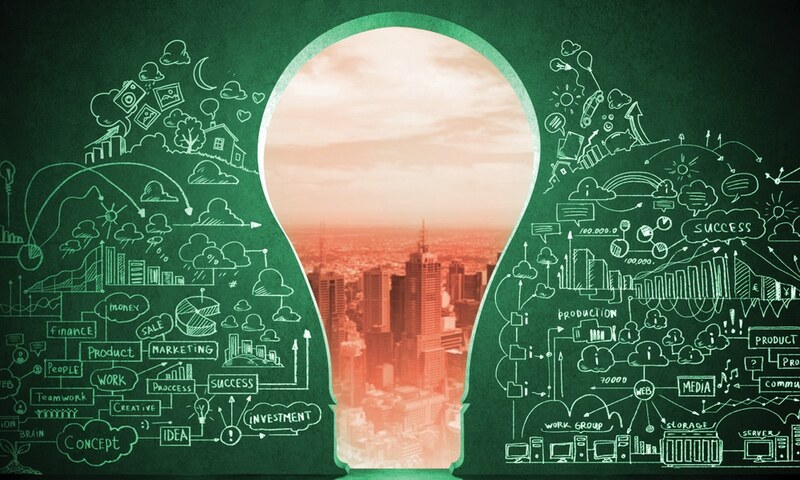 In the next three years, students were encouraged to create a market for their innovations either by becoming an entrepreneur or by selling their technology. This saw a spike in the ‘patent filing’ with 300 patents filed during the period — a six-fold increase in the numbers. From 2012 – 2013, around 20 to 23 students graduating from GTU were setting up their own ventures, of which some were already earning revenue of Rs 2.50 lakh. Initially, the idea was to motivate innovation among students and provide them with more skills rather than passing out with just a degree in hand. As many new innovations and researches were being done by students in sectors like manufacturing, information communication technology (ICT), Internet of things (IoT), embedding system, agritech, edutech, etc. For the first time student entrepreneurship was being talked about, but without any financial support to their startups. GTU formed a Student Start-up Support System (S4) to build a complete Student Startup Ecosystem: culture building, problem-solving, ideation, product design, pre-incubation, etc. S4 provided a supply-line with an access to infrastructure, initial capital and mentoring. In three years, around 1,50,000 students graduated from the university. Initially, the idea was to motivate innovation among students and provide them with more skills rather than passing out with just a degree in hand. Meanwhile, new theories were evolving because, even if the students tried and failed at the age of 20, their innovation could achieve new heights in the market. GTU then drafted the country’s first comprehensive and strategic, ‘University Student Start-up Policy’ in 2014. This policy has provisions like relaxation in attendance for those who want to build enterprises, a provision to promote girls entrepreneurship, provision to universities for setting up of regional innovation centres, a provision allowing colleges to facilitate start-ups after class hour to name a few. Gujarat Education Minister Bhupendrasinh Chudasma held several meetings with Vice Chancellors of the universities in Gujarat on forming a state-level Student Start-up & Innovation Policy (SSIP). The policy was needed to create resources for start-ups, to support the mandate for student start-ups in the State. Gujarat Higher and Technical Education Principal Secretary Anju Sharma had been actively working to expedite the process to frame university-based SSIP with AICTE acting as an umbrella organisation. The idea was to provide a system to support pre-incubation phase of entrepreneurship. At that time, a policy was much needed that completed the student start-up ecosystem through integration of industry, government and universities. The focus was earlier on entrepreneurs. The Government used to provide funds only to those start-ups (already listed as companies) who have already developed a prototype. The system saw a loop-hole as the expenses accrued during the preincubation phase, which was not refunded. A student, for instance, in manufacturing field needed at least Rs 10,000 to develop a prototype, and more funds for a better one. Gujarat Industry department awards up to Rs 21 lakh of grants to entrepreneurs — a type of support given at the post-prototype stage. The Science & Technology department funds for infrastructure creation, ICT-related innovations. The State’s Centre for Innovation Incubation and Entrepreneurship (CIIE) is one of the oldest incubators in the country. Gujarat Venture Finance Limited (GVFL), supported by the Government of Gujarat, also provides funds. But, it lacked preincubation link or support to the startups. “To reach the stage to receive Rs 21 lakhs fund, the start-up needs to have at least Rs 50,000 or 1,00000 lakh rupee to convert the protocol into a prototype or a product. This was the missing link Gujarat wanted to advent. In January 2017 when the Gujarat Government passed the Student Startup & Innovation Policy (SSIP) and allocated a budget of Rs 200 crore per year, of which Rs 100 crore is allocated from the State fund and Rs 100 crore from other resources. The mandate of the SSIP is to put resources in the university for creating student start-up ecosystem to nurture a start-up from preincubation stage to a renowned company. The policy envisage to create a value-chain of culture building, innovation building and setting up of a full-fledged organic incubation mechanism in the next five years,” Mahanta said. Gujarat SSIP, a state-wide policy aims to supports creativity, innovation and student start-ups across the 60 universities in the State with an enrollment of around 1.4 million students, of which 1,000 students could obtain Proof of Concept (PoC) and Intellectual Property Rights (IPR) every year. The academic start-up has received a significant push in Gujarat. More than 8 out of 10 Technical Business Incubators (TBI), supported by the Gujarat department of Science & Technology (DST), are in universities. Nearly 18 out of 20 nodal institutes are in academic environment. Gujarat Start-up ecosystem has taken a leadership towards setting up a systematic preincubation layer since past three years. Gujarat University also intervened similar efforts in non-technology sectors through its initiatives. GTU, GU and others during an academic year receive funds to create nearly 30-40 student start-ups each for hand holding at their early stage. Gujarat Startup incubators and the ecosystem at large is believed to fetch a quality pool of potential start-ups from university and handhold them to become success stories of tomorrow. Gujarat has developed an end-to-end innovation ecosystem involving three different support schemes from the Department of Education, the Department of Science & Technology and the Department of Industry — put in place and positioned in a manner that it complement each other’s offering, and through synchronisation, create optimum impact. Universities in Gujarat submit a roadmap outlining its plans for what it wants, are doing and its competencies to obtain the SSIP support. The state-level committee then examines the proposal. Once approved, the government colleges are liable to get funds up to Rs 40 lakh grant per year and a private institution/college would get upto Rs 20 lakh. The funds can be utilised on helping students producing a POC, designing, filing patent, conducting workshops and programmes, etc. The practice was simultaneously being practised few universities in Kerala and Andhra Pradesh, too. Odisha, Jharkhand are also scaling the idea in their context. The policy was first implemented in Gujarat Technological University (GTU). After the implementation, it has set funds for two needs: for students who needed fund for prototype building during their pre-incubation phase; for filing Patent. In Gujarat, a sum of Rs 15,000 approximately is required for filing a patent. Every month GTU issues a notice inviting applications from innovative students on their Innovation Council Cell website. 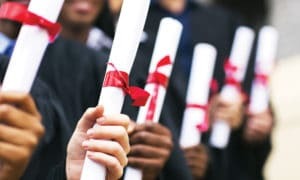 At least 30 to 35 applications are being received on a monthly basis from both university affiliated and non-affiliated colleges or institutions, said its members. A student approaches Design Clinics of the GTU Innovation Council with an ‘idea’. The experts on the relevant fields evaluate the ‘idea’ to check its feasibility in the market. 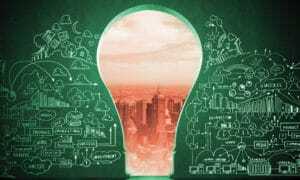 If the ‘idea’ fails its feasibility chance, through Idea Generation Methods, the Council provides training on ‘basics to form an idea’ which is again validated in the Design Clinic. After idea validation, the Council helps the innovator in building a prototype or designing the Proof of Concept (PoC). The innovator is invited to the Startup Clinic where mentoring is provided. Patent Cell trains students skills required for making Patent Search and Analysis Report (PSAR) and Patent Drafting Exercise (PDE). The Council has a ‘Patent Clinic’ to check if the prototype needs Patent Filing or just to register the design for copyright, trademark, design registration, etc. The Council then assists on conducting ‘Market Research’ in which it helps them to achieve a target of gaining 100 User Traction or customer validation — a must criteria as set by the Council. Once they achieve the target, the council helps them obtain Limited Liability Partnership (LLP) or Private Limited registration. The GTU is currently trying to involve Venture Capitalists to invest, for which the aforementioned needs a proper check. The GTU has assisted more than 150 start-ups on their pre-incubation phase of prototype building. These startups were affiliated to various institutions and nodal agencies. For GTU affiliated college/ institution, it has so far incubated 47 startups, of which 14 received fund, seven commercialised their product and 26 are at early stage of getting validation in the market. Out of 480 colleges affiliated to GTU, 30 have recognised incubation centres to help the Student Startups. Currently, Gujarat receives about 650 patent filing comprising around 40 % filings by academia. The SSIP supports 1,000 student innovators and researchers to get IPR support. Grassroots innovators comprising school dropouts and other inclusive innovators have been made adjunct faculty members. GTU has 14 members currently getting a cross-learning opportunity ( Knowledge reach economical people also to be part of academic system). Universities in Gujarat are encouraged to give academic credit to students for scouting community, SME, rural, urban challenges and also convert some of them as the subject of their projects so that impact reaches to end-users. In GTU around 2,000 students does real life project based on challenges by Small industries and try to work around their pain points. During Smart India Hackathon program by MHRD, participants from colleges from Gujarat won the highest numbers of awards. Total 135 awards were given across 29 ministries in 26 host venue nationally out of which student teams from Gujarat won 8 national awards. Gujarat on September 26, launched its own Hackathon in which challenges sourced from different ministries and departments and students across universities incentivised to participate and develop digital solutions. Recently, one Gujarat student Start-up “Straut” developed technology in solar thermal engineering got 1st prize/gold medal at MIT Climate change Innovation Award among 700 plus university participation globally.